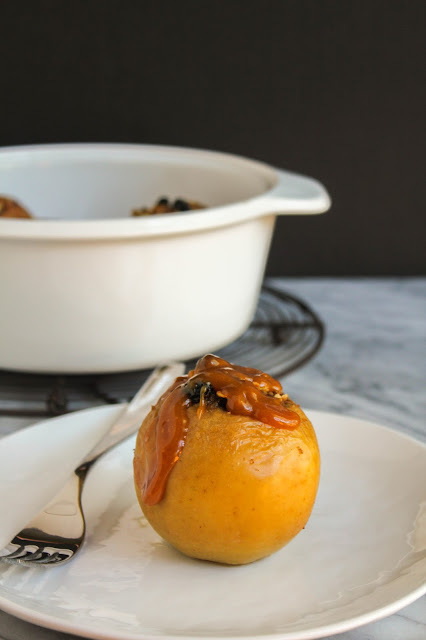 one decadent and delicious Autumn dessert! It's Fall, it's Fall, hallelujah it's Fall! I hope you are as excited about Fall as I am. It's definitely my favorite season. Don't get me wrong, I do love summer. But there are just so many things to love about Fall. Especially living in Michigan. Crisp, cool mornings. The beautiful, colorful changing leaves. Apples, pumpkins and squash galore. And of course, football. Lots and lots of football. When the weather starts to change, even if only a little bit, I take that as as sign to start my Fall baking. Trust me, there is nothing better than starting to pumpkin all of the things! 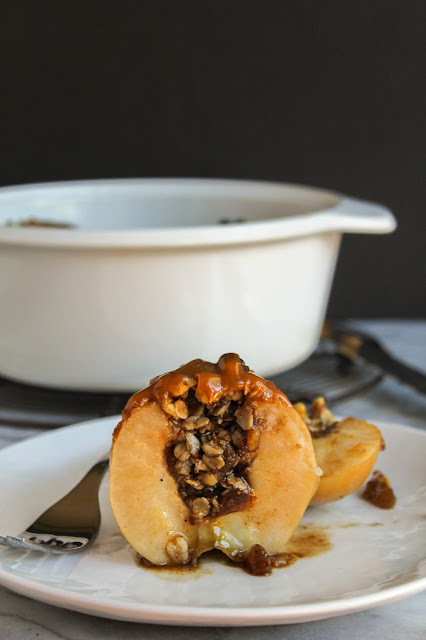 I also love cooking and baking with apples, and these loaded baked apples are not only delicious, but they are loaded with vitamins and full of flavor. 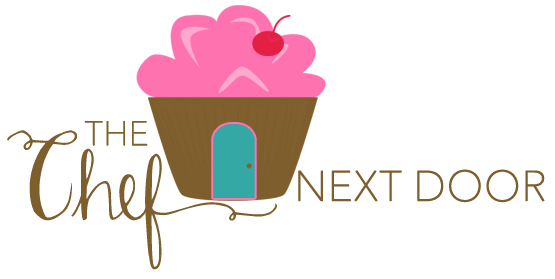 I'm super excited to be partnering with Produce for Kids again this Fall to bring you this fabulous and fun recipe! This healthy eating-focused campaign with Meijer launched August 30th will raise funds to bring the nutrition education program, Jump with Jill, to local schools in the Meijer area. 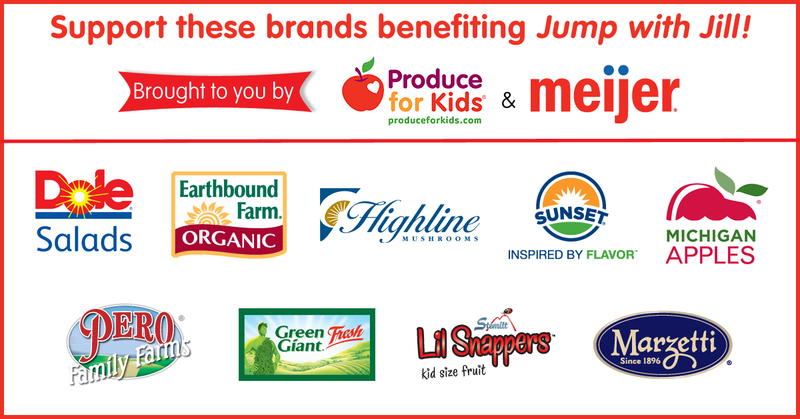 Signs and displays in-store, featuring locally known Jump with Jill, will be displayed in Meijer produce departments and will list all participating companies. 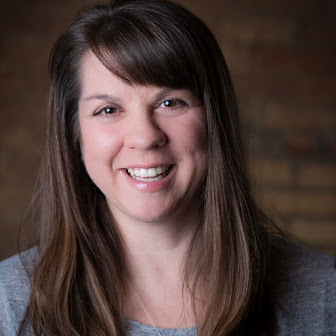 The signage will direct shoppers to Produce for Kids, which features more than 240 registered dietitian-approved and family-tested recipes, meal planning tools, grocery store-specific campaign details, and healthy tips from real parents. You are also encouraged to share your own healthy recipes and ideas on social media during the campaign using the hashtag #produceforkids. 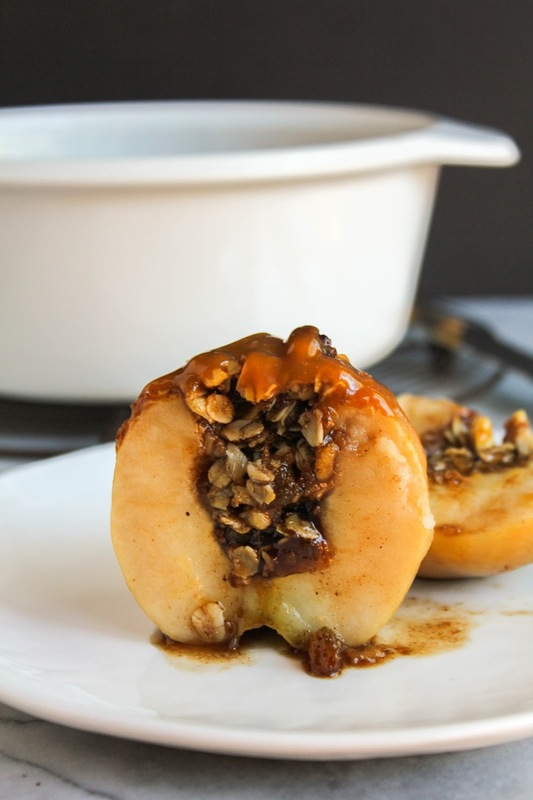 My recipe features delicious Michigan apples (obviously! ), plus Marzetti Old Fashioned Caramel Dip. The recipe is quite simple to put together and is something fun for the kids to get involved with too. The baked apples are an awesome dessert, perfect with a scoop of vanilla ice cream, but would make a great after school snack as well. Looking for some delicious dinner ideas? Check out the recipes for One-Pot Chicken Lo Mein and Easy One-Dish Chicken & Veggie Bake, courtesy of Produce for Kids! 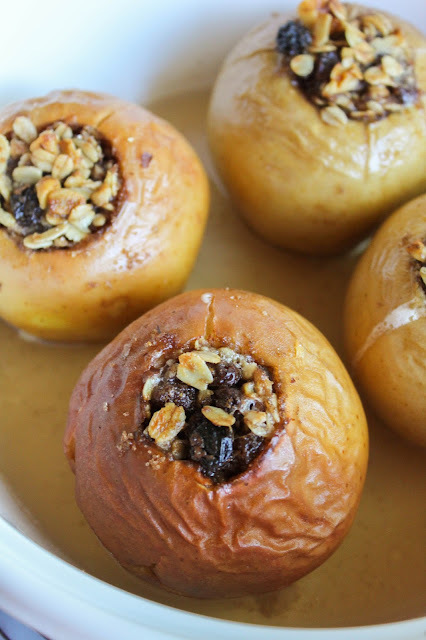 So, who's ready to make some loaded baked apples? Preheat the oven to 375 degrees. Wash and dry the apples. Using an apple corer or sharp paring knife, cut out the cores and remove the seeds, leaving the bottom half inch of the apples intact. In a small bowl, add the brown sugar, oats, walnuts, raisins, cinnamon and nutmeg and mix well. Stuff each apple with the mixture, pressing gently to push it down into the apple. Place the apples in a baking dish. Place a half teaspoon of butter on top of each apple. Carefully pour the hot water into the bottom of the baking dish. Bake for 45 minutes, until the apples are cooked through and tender. When done, remove the apples from the baking dish and place onto individual plates. Warm the caramel dip in the microwave, for about 25 seconds, then drizzle a tablespoon or so over each apple before serving. The Meijer and Produce for Kids campaign will run through September 26th and is supported by 9 participating fresh fruit and vegetable companies, which are listed in the graphic below. Meijer grocery shoppers are encouraged to support these brands by eating more nutritious fruits and vegetables!